Delaney Swink filed her taxes by hand last year. Like the rest of us, Swink wasn’t a big fan of doing her taxes, so when she learned about a program that could help her get her taxes done for free, she was intrigued. Swink, 22, is finishing a degree in international studies and romance languages at the University of Oregon. With scholarships and her two jobs — she’s a campus tour guide and helps organize student orientation programs — Swink said she was never really sure she was filing her taxes correctly. If you can’t afford to visit an accountant or tax preparer, you should know about a handy program that will provide you with free tax help this spring. The IRS created the VITA program to help workers who make $54,000 a year or less file their taxes. The program also serves people with disabilities, workers who have a limited understanding of the English language, Native Americans and people who live in rural areas. University and college campuses, community centers, libraries and other public spaces across the United States host the program’s clinics. The IRS certifies and trains volunteers to run these tax clinics, which local financial institutions and tax coalitions often co-sponsor. Last year, volunteers prepared 3.7 million tax returns for free at 11,831 sites nationwide, according to the Treasury Inspector General for Tax Administration. Taking advantage of this free program is a smart move that can save you money this tax season. H&R Block charged, on average, $220 to file in 2016, according to spokesman Gene King. If you work with an accountant on your taxes, you could pay anywhere from $176 to $457, depending on the complexity of your situation, according to national averages calculated by the National Society of Accountants. Those numbers can fluctuate by location. Tax preparation software, like TurboTax, offer free versions for filing your federal taxes, but you may have to pay to file your state return. Plus, you won’t get the same specialized review of your financial situation. “(Without VITA), people would either do their taxes on their own and possibly make mistakes, or they would go somewhere and pay to have their taxes prepared on their own,” said Andrew Zumwalt, a Missouri extension specialist who oversees the state’s VITA sites. If you’re not sure whether you should do your own taxes, here are five questions to consider before making a decision. 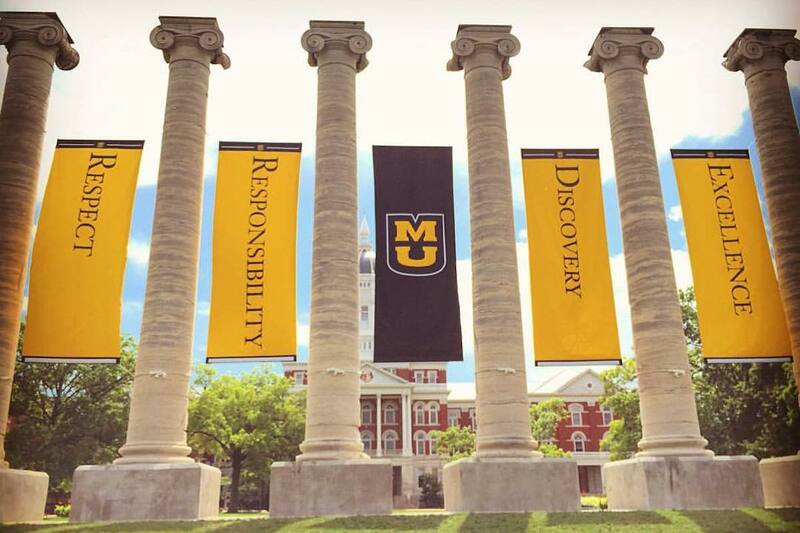 The VITA Program at the University of Missouri is in its 13th year and typically serves 1,800 people each tax season. Since taxpayer dollars partially fund the university, one of its missions is to reach out to the community and help improve the lives of Missourians. The VITA Program helps with that, Zumwalt said. As a side bonus, the program provides undergraduate and graduate students with real-world experience that goes well beyond tax preparation. They learn other important business skills, such as customer service and how to talk frankly with people about their financial situation. Though volunteers focus on helping clients file their tax returns, some go beyond that to improve the overall financial situation of people in their community. Student volunteers at the University of Georgia, for example, follow up with clients after their initial meeting to outline key planning strategies they can use for the upcoming year. The goal is to make next year’s tax and financial situation a little bit better than the year before, said Lance Palmer, an associate professor of financial planning, housing and consumer economics in the University of Georgia’s College of Family and Consumer Sciences. The VITA Program at the University of Georgia has been running for 12 years and serves about 900 taxpayer households each year. Roughly 70 financial planning and accounting students serve as volunteers for the university’s program, and two or three people review every tax return. Beyond helping clients improve their overall financial picture, the program aims to correct misconceptions about tax rules and keep the market honest, Palmer said. If you’re planning to take advantage of VITA this year, you’ll want to bring some form of photo identification, your Social Security card, your tax documents from last year and any income statements (W-2s and 1099s) you receive. You’ll also want to know your bank routing and account numbers so the IRS can direct deposit your tax return into your account. Many VITA clinics offer convenient evening and weekend hours, and allow you to book an appointment online. Some programs, however, serve walk-ins only, so you may have to wait in line to use this free service. To look for a VITA site near you, simply enter your ZIP code into the VITA locator on the IRS website. Not only will VITA save you the cost of having your taxes prepared elsewhere, the program is also likely to help you get a refund. The VITA program at Temple University’s Ambler campus resulted in $428,604 in federal and $9,024 in state tax refunds in 2016. That’s across 379 tax returns, meaning the average tax refund was more than $1,000. Since the program launched in 2008, it’s helped clients get more than $3 million in refunds. “The clients are usually happy and many of them have come back year after year,” said Steven Balsam, an accounting professor and senior research fellow at Temple University’s Fox School of Business. Prefer to file your own taxes from home? Here are eight free filing websites for you to consider instead. And if you still haven’t received tax forms from your employer, don’t panic: Here’s exactly what to do if you’re still missing tax forms. Your Turn: What’s your tax plan for the coming year? Sarah Kuta has a penchant for weekend thrifting, furniture refurbishment and good deals. Find her on Twitter: @sarahkuta. 1 Hour Ago Dear Penny: I Paid Off My Debt With a Loan. Should I Do It Again?